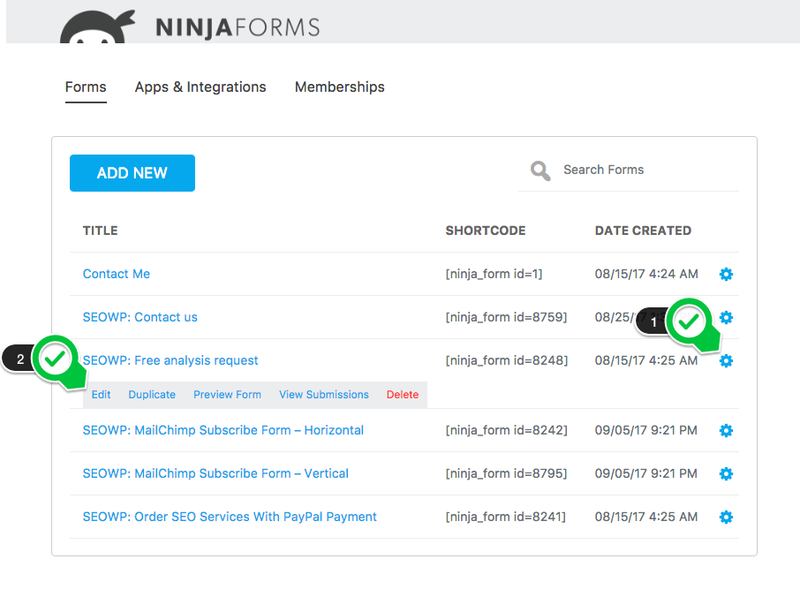 Go to WordPress Admin > Ninja Forms > Dashboard and select the form you want to edit. For instance, the "SEOWP: Free analysis request" form. Click the "edit" button. 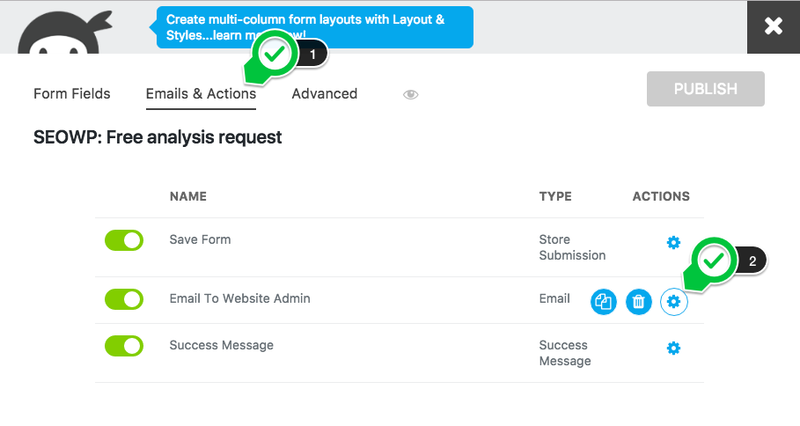 Select the Email & Actions tab and click "edit" Email to Website Admin. Enter your email address in the "To" field and click on the "Done" button. Try to use an email from the same domain. When you use the users submitted an email address in the Form: field you are trying to send an email from that address – e.g formuser@customer.com. But your form is hosted at yourdomain.com. So what your host and other email hosts see is an email from formuser@customer.com sent from yourdomain.com. That mismatch in domain names looks like spam. But if use something like noreply@yourdomain.com in the Form: field then you don’t look like a spammer and all is good in the world again. 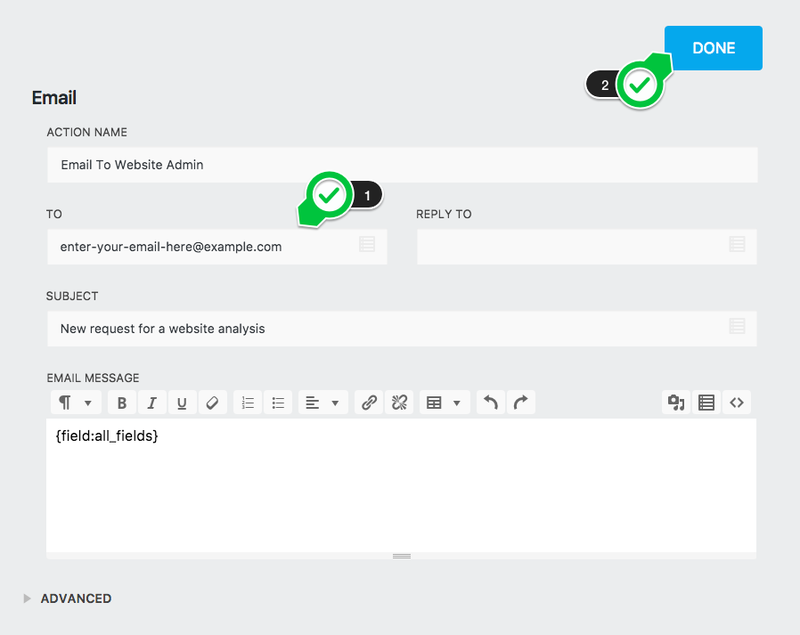 If still have issues, please install this free plugin: Postman SMTP. Please configure the plugin in the same way you set your email on Outlook.